A pre-race sample was taken from Elram Girl. Petite Harbour and My Miss Molly collided soon after the start. Elram Girl lost ground approaching the first turn and collided with Shogun Sammy. Five Lights and My Miss Molly collided on the first turn checking My Miss Molly. Shogun Sammy and Elram Girl collided on the home turn. Elram Girl was vetted following the event. It was reported that the greyhound sustained a left triangle muscle injury, a 28 day stand down period was imposed. Mr Jack, ther trainer of Elram girl was advised that he must seek follow up veterinary care for the greyhound within three days. Stewards spoke to Mr Shane Jack, the trainer of Elram Girl regarding the greyhound’s racing manners on the first turn. Mr Jack started that in his opinion the greyhound often has trouble navigating the first turn at this track. Stewards consulted with the on-course veterinarian who stated that Elram Girl was found to have swelling and pain to the left triangle muscle and will require strict rest and further veterinary treatment in the coming days. Stewards took into consideration the veterinary report and could not be comfortably satisfied that a failing to chase charge was appropriate on this occassion. Satisfactory Trial Results - Placid Pause trialled over the 315m from box 3, weight 26.1kgs, the greyhound was placed 3rd in a field of 4. 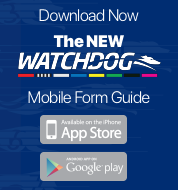 The time of the trial was 18.76, the greyhound was beaten by a margin of 4.25 lengths. Placid Pause was Cleared. Satisfactory Trial Results (Blinkers) - Mega McKayla trialled over the 315m from box 1, weight 24.6kgs, the greyhound was placed 2nd in a field of 4. The time of the trial was 18.76, the greyhound was beaten by a margin of 2.75 lngths. Mega McKayla was Cleared To Race In Right Blinker. Satisfactory Trial Results - Cheeky Shadow trialled over the 315m from box 8, weight 29.7kgs, the greyhound was placed 4th in a field of 4. The time of the trial was 18.76, the greyhound was beaten by a margin of 6 lengths. Cheeky Shadow was Cleared. Satisfactory Trial Results - Wild Hunny trialled over the 395m from box 1, weight 28.3kgs, the greyhound was placed 5th in a field of 5. The time of the trial was 23.48, the greyhound was beaten by a margin of 6.75 lengths. Wild Hunny was Cleared. 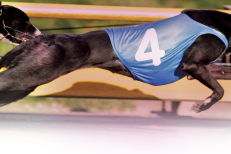 Satisfactory Trial Results - Our Aqua Blue trialled over the 395m from box 8, weight 29.9kgs, the greyhound was placed 1st in a field of 5. The time of the trial was 23.48, the greyhound won by a margin of .25 lengths. Our Aqua Blue was Cleared.